With various Code of Conduct violations and hazing allegations surrounding fraternities and sororities, the administration has been focusing on ways to improve Greek life, including implementing the university’s 10-point plan. Some chapters have been kicked off in 2018, such as Pi Kappa Alpha, Kappa Alpha Society and Alpha Chi Omega. Others have been suspended. All 13 fraternities were charged with identical violations earlier this semester. Greek life makes up a large portion of Lehigh’s social life, with just under 30 percent of Lehigh undergraduates participating in Greek life as of fall 2017, the lowest it has been during 2013 to 2017, the years in which the Office of Student Affairs conducted a study. With a diminishing Greek presence and recent university action, current and prospective students are seeing a different institution when it comes to Greek life. Director of Admissions Bruce Bunnick said he believes Greek life is not as big of a factor in a students’ decision to attend Lehigh as it has been in the past. 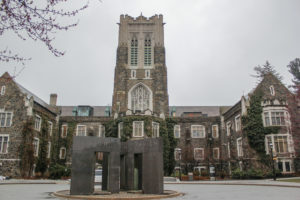 In the past seven to 10 years, even with a diminishing Greek presence, the university has grown more popular, with an application pool of 15,647 applicants for the class of 2023, the most in Lehigh’s history. Ricardo Hall, the vice provost of Student Affairs, said there is no local or institutional interest to get rid of Greek life, and in fact, he sees a bright future for the Greek community. 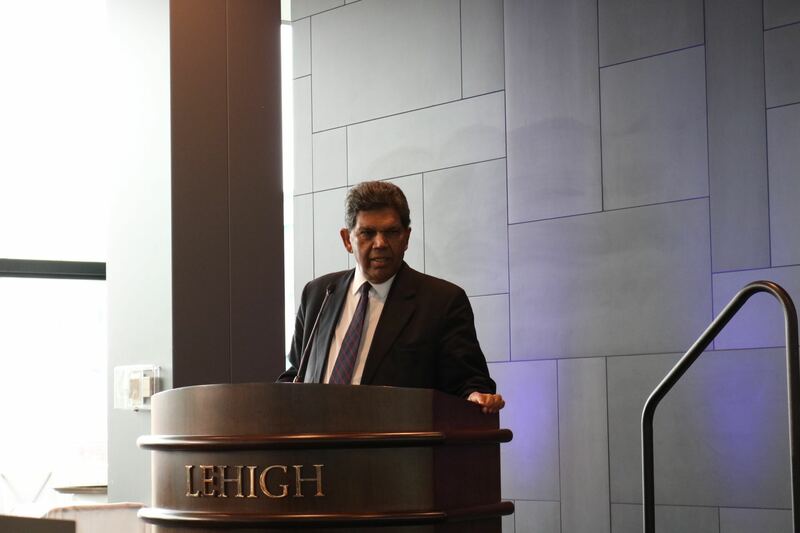 Hall is looking to implement the plan over the course of the next several years, and said Greek life at Lehigh has strayed away from its original intentions. Liz Tully, ’21, the vice president of member recruitment of Alpha Phi sorority, said she feels, however, that Greek life is a factor for many students when choosing colleges, like it was for her. Tully said she chose a school based on its Greek presence, and was drawn to Lehigh for this reason, but can understand why Greek life could be polarizing. She noted that the numbers of first-year women joining the Greek system are decreasing and that Lehigh is attempting to recruit low-income, first-generation students who Tully said are historically not attracted to Greek life. We are looking forward to the LU sponsored programming on campus that Mr. Hall will organize and provide. Lehigh has benefited from Greeks houses providing much campus entertainment and social programming over the years. With fewer greek houses, and those houses being less open to non-members [rightly so], the 70% of LU students need the administration to step up and bring more programming to campus. Lehigh is behind peer schools in this regard and will hopefully step up this next school year. Responding to the quote from Liz Tully: It is not up to Lehigh to keep the Greek system alive. It is up to us–alumni, alumnae and undergraduates–to demonstrate that we deserve a place on any university campus by our actions, and specifically by living up to or exceeding our values and ideals. If we are ready to meet the challenges by changing and improving–and I believe that we are–then we will indeed be around for the next 100 years. Does the administration actually understand the campus? LU after dark is a joke, some students would rather stay in and watch a movie with friends, many other students would rather go off campus and party. I think I have been to 2 LUAD events and both had less people than a single small party. Get ready for students to be bored and do the same exact stuff as they have forever (drink and party), and now with less regulation when they get kicked off. Instead of trying to end Greek Life and spending millions to get a single artist on campus, maybe spend less and get more liked artists and performers more? Oh yeah, also don’t end Greek Life – at least they pay for their own fun unlike geeds. Good luck Lehigh, Rich, and Simon! I learned about group management with my house. I would like to see my chapter recolonize. Our house is now a interest house. Our alumni did contribute money directly to the chapter, which our chapter will never see. There are advantages to the Greek system that non Greeks don’t experience. Lehigh supports many other organations.